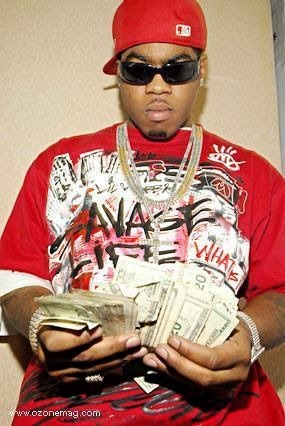 Webbie is publicly shaming 50 Cent for failing to pay up after losing a million-dollar bet on a big time boxing match last weekend and now he wants his cash money! Webbie was in L.A. this week jawing about the wager he made with Fiddy right before the lightweight title bout between Terence Crawford and Yuriorkis Gamboa ... who 50 Cent happens to manage. "I say 50, what's happening? I say I got a mil on my dawg!" Cut to the 9th round when Crawford knocked out Gamboa, and BOOM ... $1 MILLION payday for Webbie ... or so he thought. In the clip, it sounds like the Louisiana rapper thinks he's getting stiffed. Then again, maybe 50 didn't understand what was on the line -- Webbie's got a seriously Southern accent. SMS Promotions and they say this is the first anyone's hearing about the alleged bet.